Time waits for no one, including Marshall James. Now 58 and living in New York City, Marshall has outlived the expiration date he was given with a cancer diagnosis three years ago. He beat the odds, but he knows he may not beat the clock. So he’s decided to tell a story or three about some murders he was involved in back in the day. The year was 1983. The bar was the Paisley Parrot in Hollywood, a gay, mob-run dive where people came to drink and few of them remembered the night before. Marshall loves his job as a bartender there. But one night, among the regulars, a killer arrives. Body by body, death by death, Marshall finds himself pulled into a web of murder, deceit, and crime, with a psychopath waiting at the center of it all. Marshall falls for the cop who is investigating him, not knowing if their relationship will survive or even if he'll come out of this alive. Find out before last call comes around, in Murder at the Paisley Parrot. If you could sum up Murder at the Paisley Parrot in three words, what would they be? Mark McNease is a Gifted Author, especially when it comes to Murder Mysteries and his style is very engaging and Intelligently Written! Excellent Three Dimensional Character Development which indicates that the author has great depth and understanding of the Human Psyche! I have every one of Mark McNease Books both On Kindle and on Audio! Marshal James is the main character who is 58 who so far has beat the odds with a diagnosis of Cancer. James is reflecting upon the time when he was a young man in 1983 during the onset of the Horrific Aides Epidemic and tells a story about when he was a bartender at the Paisly Parrot Bar in Hollywood and found himself pulled into the web of murder by a Psychopath. Marshall also falls in love with the Detective who is investigating him as a possible suspect of the Murders! Needles to say there are subplots that enhance the STORY and maintain your Interest ....A MUST READ! 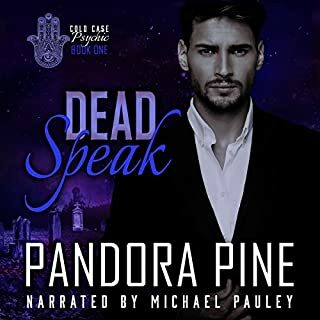 Fred Wolinsky, Narrator, brought life and depth to this First Book in the Marshall James Series with his Masterful Narration by letting the writing come through and characters speak for themselves, and raises the Story to another level of enjoyment! Fred Wolinsky did an excellent job and performance in bringing out the character dynamics of all subjects especially James Marshal and of love interest the Detective ! 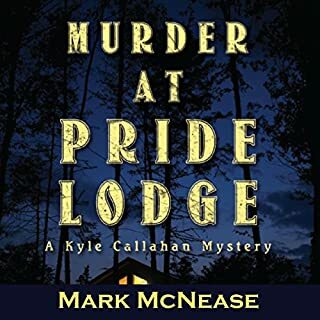 Mark McNease met all expectation in terms of a Great Story, Excellent Mystery Murder Novel, Wonderful Three Dimensional Characters you care about, and it is a page turner cause it keeps you in suspense! Looking forward to future Installments of the Marshal James Series and other Stories by Mark McNease (he has the Gift of Writing Great Stories) and He has brought me great Reading and Listening Enjoyment and this Fan is greatly indebted to Him! This book has it all Mob, serial killer, love, and Marshall in the middle of all three. This is a action packed, suspenseful, funny at times, awesome murder mystery. The characters are sometimes eccentric but lovable, and if you are lucky enough to have gotten the audio version narrated by the wonderful voice actor Fred Wolinsky these characters will really stand out and you will be drawn in to life of the Paisley Parrot and maybe even tend bar next to Marshall himself. 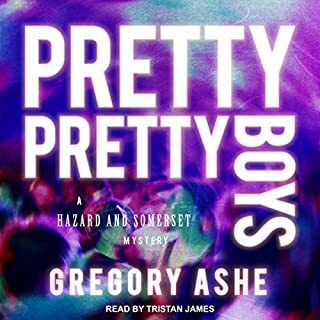 This is a fun and light murder mystery with some serious and historic (yep Marshall will take you back to the 80's) facts and details that are relevant about the life of gay men as well as everyone in the 80's. 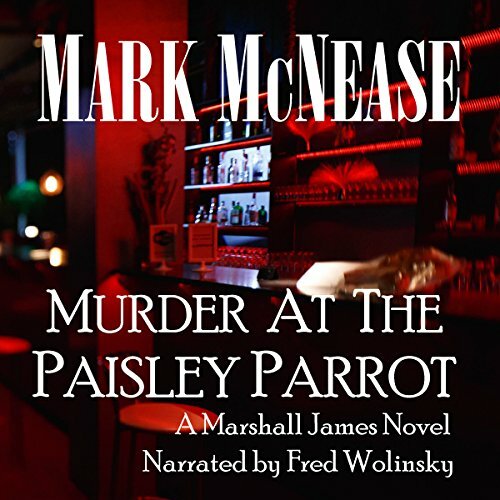 Mark McNease's Murder at the Paisley Parrot is the story of a young man who finds himself tangled up in a progression serial killings happening all around him. It takes place during the dawn of the dreaded AIDS epidemic and Mr. McNease does a superb job of relating the fears that accompanied that time period. Marshal James, the main character is by no means a model Boy Scout, but he burrows a way into your heart with his fumbling courage, foibles and dark humor. Hoping to hear a lot more of him in subsequent books as we found this one to be so enjoyable. This book held my interest throughout it all! I love the different perspective of telling the story from much farther in the future as if it was just a simple story from his past. It was well written and descriptive enough to get a visual idea of the places. It was not an intense suspense type novel that you have a hard time putting down, but a great murder mystery. I did find myself laughing out loud a few times and feeling what the main character was feeling during some of the scenes. The characters were all well done and performed wonderfully. 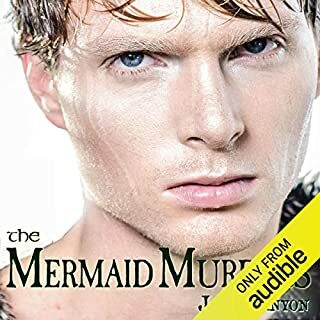 Fred did an amazing job narrating this book and I think part of the reason that my interest was kept throughout the whole book! Overall, an excellent listen! A well written , if morbid story. What happened to Mac! Not crazy about the narrator. Enjoyed the story but the narration was flat. I enjoyed the story and the characters for the narration I think took away from the pleasure of the book. When I recommend this book I will definitely recommend it as a read and not a listen.